In my previous post, Selenium + AutoIT: How to Automate Non-Browser Based Functionality, I showed you how to programmatically use Java to automate the Calculator found in Windows. Remember, Selenium only works for browser automation. 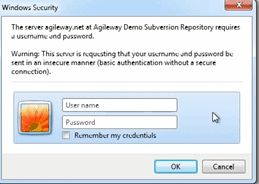 Any time you encounter a non-browser window — like an authentication pop-window — Selenium will not be able to recognize it since it is an OS-level dialog. How to automate OS-level dialogs with Selenium? So what do you do in these situations? Here is one example that I’ve found to be an awesome workaround when developing Selenium test automation scripts in Java utilizing the AutoITX3 DLL. For this example I’m going to automate the browser print dialog as an example of a non-browser type window you might encounter in some of your web-based Selenium automation test flows. 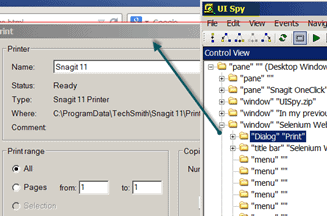 Click on the Print – Windows Dialog Example button. A Windows-based Print pop-up should appear. 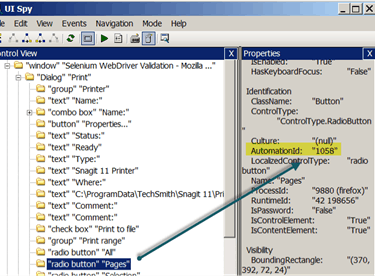 How to Spy on a Windows Dialog using Selenium? Cool! But before we can automate this we need to be able to spy on the dialogs fields in order to know what properties we can used to identify them in our Selenium script. 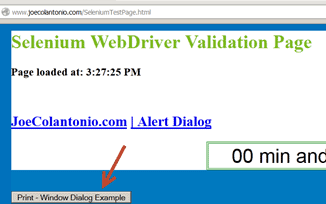 Locate the “Dialog” “Print” section under the window Selenium WebDriver Validation section. Expanding the “Dialog” “Print” section will display all the elements and their properties. Click on the “radio Button” “pages” under the control view. You should then be able to see all the properties for that element. We will use the AutomationId for each element as the identification property in our automation test example. Thread.sleep(3000); //This was added just so you could see that the values did change. In this example, we made use of the existing AutoIt functions programmatically in Java. For detailed information on the methods used in this example, and to see all the other functions available in AutoIt, check out the online AutoIt function library reference. Awesome Awesomeness in action – -Right?!? 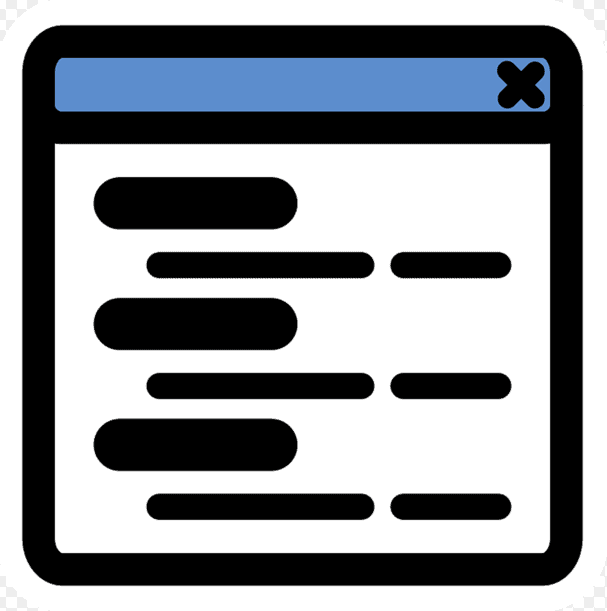 So what are some other tools you could use to test more complicated window based dialog or thick client application that your web app might integrate with? Another popular method to get around other types of windows objects when using Selenium is using a tool like Sikuli. What’s cool about SikuliX is that it allows you to automate anything you see on your screen using image-based testing. Find out more in my Getting Started with Sikuli post and video. Essentially, Lean Functional Testing (LeanFT) combines the best of both the vendor-based and open-source worlds by morphing Selenium with some key functionality currently found in UFT. Find out more in my A sneak peek at Lean Functional Testing (LeanFT) post. I followed all the steps.But for the pop up window with Ok and cancel buttons,automation id is nill.what to do with this issue? Thanks for good information, could you please share me UISPY tool? I am not able to download from ur site? facing error as permission denied.. Thanks for posting this article on handling windows based dialogs and pops .. Thanks for the info. I appreciate your efforts for sharing this useful info. I have implemented the code in the same fashion & I was able to interact with the dialog. But my test case also needs to interact with a .ini file. On trying to use iniWrite or iniRead to read & write into the .ini file an exception is thrown. I googled but I didn’t get any solution. Am stuck now & am unable to proceed further without getting a solution for this issue. Please help me. Your help would be highly appreciated. After clicking “Cancel” button to close my Windows popup, i try to find an element on the browser page and get an error “Unable to find element on closed window”. Any recommendations? Thanks a lot Joe for all of your knowledge sharing. Hmm not sure – are there multiple browser windows open for your tests? Do using driver.switchTo() help? Any tool that can be used on OS X (Mac) ? Thanks for this, it was very useful. Can you provide any insight into utilizing AutoIt on a Selenium GRID set up?